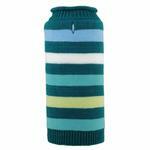 The Worthy Dog Dapper Striped Dog Sweater in Teal will add a designer touch to your chilly day! Your pet will stay stylish and warm this winter with a Worthy Dog sweater! 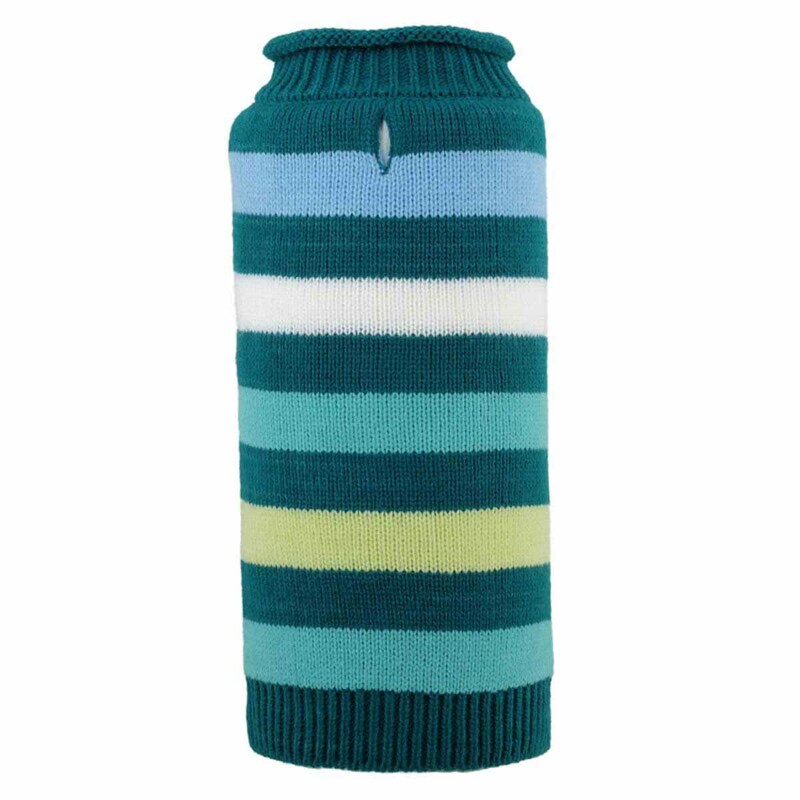 Made of 100% acrylic, these comfy double-knit sweaters feature a "button hole" in the back so that you can easily hook your pet's lead to their harness. Matching scarf sold separately. Posted On 05/26/17 by Rebecca Thomas-Winkler from Soddy Daisy, TN Yes, Rebecca Thomas-Winkler recommends this product! (I bought two similar sweaters) This sweater is going to feel so good in the mountains this fall. I got the teal color to match her harness. It is a very soft and stretchable knit and washes well. I put it in my dryer on the lightest warm delicate/sweater setting and it looks like new. It held it's shape/colors & is so easy to put on our little ones. In fact, they see me getting them out, they come running to put them on. If they're sold, I'm sold! A great Baxter Boo buy!